Explore ancient Egyptian mythology as it intersects with modern in-depth human psychology and a newly emerging concept in neuropsychology/neurobiology called Self-directed Neuroplasticity (SDN), or your innate ability to alter neural connections within your own body/mind complex to enhance well-being. 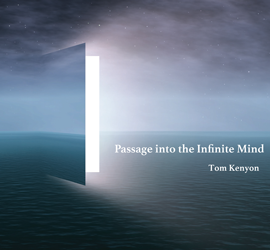 Using Tom’s nearly four-octave range voice, this Intensive focuses on three pivotal life-changing teachings. 1) A method for releasing deeply held regrets (symbolized by the scales of Maat). 2) A means to enter directly into Spatial Cognizance (a unique and transformational state of mind, which is characterized by a sense of yourself as spacious awareness resulting in a deep sense of expanded wellbeing and an ability to handle transitions more effectively). 3) A way to draw into your own DNA transformational energies that reside in the realms of spacious awareness.